Over the past five decades, Ben Sherman has gone from humble beginnings in a Brighton factory to a global powerhouse with stores spanning across the UK, Australia, America, Asia, Europe and South Africa. You’ve been into a Ben Sherman store, we’ve been into a Ben Sherman store, and chances are, most of your neighbours have too. 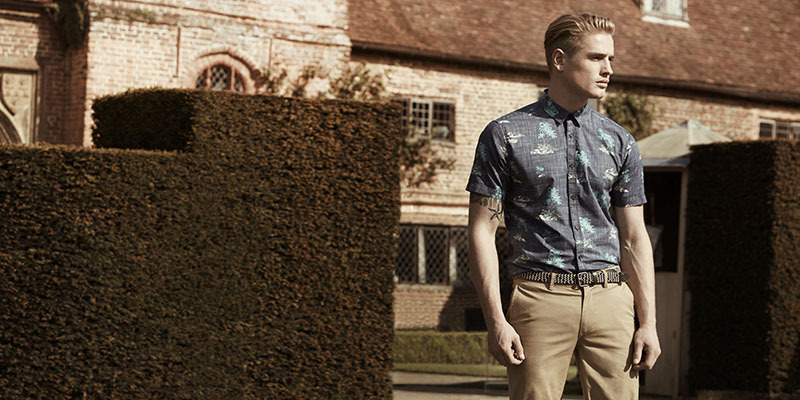 This year Ben Sherman hits the MSFW runway with their latest spring/summer 2014 collection. It’s rare for any label to enjoy this kind of success and longevity on a global scale. We spoke to Clare Warburton, a senior designer from Ben Sherman’s design team, to find out how they stay ahead of the fashion pack. Hi Clare, we hear that you are a senior designer for Ben Sherman. What could we expect to find behind the doors of Ben Sherman HQ? Without giving away all our secrets… you would find a small team of individuals continuously looking a little manic and loving it! We work on 2-3 seasons at once, currently, we are sending our AW15 range into production and finalising the designs for our SS15 collection. So this means that there is rarely a quiet moment and it also means that we are usually surrounded by racks of clothes. Working in fashion is a little relentless but it is a lot of fun! Ben Sherman is an iconic label with an extensive history. Do you feel a responsibility to stay true to the brand’s heritage? Definitely. Ben Sherman recently celebrated its 50th Birthday and that is an achievement we are all really proud of. It is evident that part of the Brand’s success is in the fact that our customer relies on us to provide ranges that continue to reflect our heritage, whilst still being relevant to today’s fashion. Being aware of this helps to ensure there is a consistency in each collection, which in turn helps to continue to build the trust of our customers. Ben Sherman spent his professional life trying to create the perfect shirt. Today, what makes a Ben Sherman shirt so special? I believe it is in the details, the little points of difference, that makes a Ben Sherman shirt special. A lot of consideration is given with every design –the fit (we currently have 4 – Mod, Margate, Soho and Union), the choice of collar, the use of contrasting fabrics under the cuff or on the placket, right down to the button and button thread. What is the Ben Sherman ‘look’ and how has it changed over the years? The Ben Sherman ‘look’ itself has not altered dramatically, what does change and ensures there is a freshness to the collection each season, is the use of fabrications, prints and colour, rather than the overall look and shape of a garment. You can see this through our wardrobe staples, the Romford polo, EC1 Chino, Harrington jacket and Gingham shirts. These items have been around since the beginning and are still firm favourites because each season we introduce new colourways and fabrications to give our customer a reason to buy a new one! How can Australian men tailor the Ben Sherman ‘look’ to the southern hemisphere? #buttonup. Buttoning up the top button of your shirt is something that’s been done to Ben Sherman shirts since 1963. It’s a very deliberate style choice and one that exudes ‘Britishness’ and is very simple to achieve. In addition to this would be to keep your look clean and sharp. Swap your denim for Chinos, or as we head to summer wear the Chino short and add a Blazer for a more polished, off-duty look. For the working man – add a little personality to your style with a pocket square or tie clip. These small items can make a big difference. Ben Sherman is showing at MSFW2014. Can you offer us any spoilers? Hmmm – I can’t tell you much, but I can tell you that there is something for everybody. 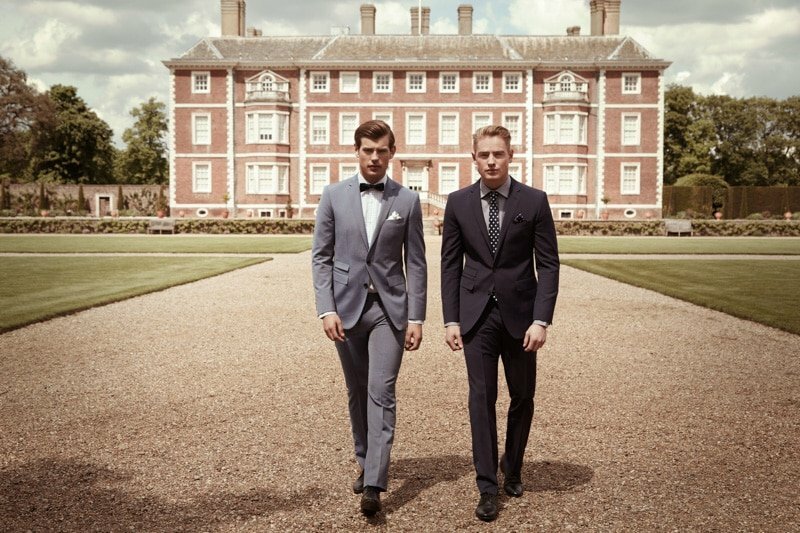 We’ll be showcasing our Spring 2014 collection as well as our Tailoring collection, plus providing a preview of what is coming later in the year for Summer. Trends come and go but they can also be a lot of fun. When should men weigh in on the trends and when should they stick to the classics? Spring/Summer is a great season to weigh in on the trends. Spring Racing, Festivals and the Holiday period provide the perfect opportunities to have a little fun. My suggestion is to try and ensure there is a balance within your outfit. For the more casual dressing, have one piece that is more ‘trend’ focussed and pair it back with something that is more classic. For example, wear a print shirt (which are big again this season) with a Chino pant in a neutral colourway, or wear a print short with a plain shirt. For the workingman, if you want to introduce a new colour or print in your shirt or tie, a polka dot tie on a check shirt is a great combination, balance it with a plain suit (not a Pin Stripe or Check). Whatever you decide, wear it with confidence! If you feel uncomfortable, you will look uncomfortable. Can you give our male readers any tips for buying their next suit? Regardless of the occasion, fit always comes first with colour/fabrication second. You can have the most expensive suit in the store, but if it doesn’t fit perfectly, you will stand out for all the wrong reasons. Buy one that is designed for your body shape and keep in mind that it is meant to be tailored to your body, not too small and not too big. We offer two fits, Camden and Kings, in a variety of lengths to try to cater to the majority of body shapes. However, consider getting your local tailor to adjust the suit for you. A $300 suit which has been tailored will always look better than a $2000 suit which doesn’t fit exactly as it could. When you’re experiencing a bit of designer’s block, where do you draw your inspiration? Nowadays we have the luxury of the internet to provide so many avenues to draw inspiration from, whether it be runway reports, art, interiors etc, but my favourite tends to be looking at people on the street. How they mix textures, prints, colours and put things together to convey their style. I love it when you see something unexpected yet it makes sense on that individual.